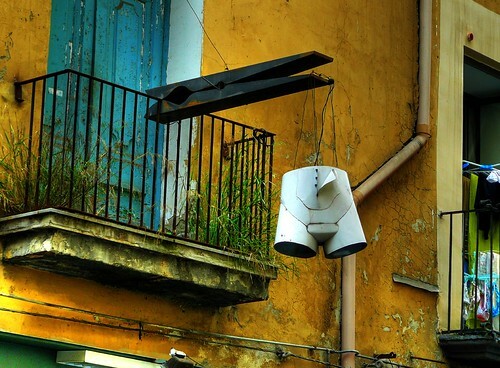 A dizzying mix of Unesco-listed architecture, noisy, electric and sometimes dangerous street life and everything in between, Naples is a beautiful mess of contradictions. It can be found in Southern Italy; it is the capital of the region of Campania and is known for its fascinating history and art, architecture, music, and food, as well as its colourful locals. Located halfway between two volcanic areas, Mount Vesuvius and the Phlegraean Fields, the city also boasts some dazzling views. Whilst Naples has a reputation for being dangerous, and it undoubtedly is in some respects, I am assured by a Neopolitan friend that the famous saying ‘see Naples and die’ is actually a reference to the beauty of Naples, for after one has viewed it, one might as well just kick the bucket as there is nothing left in the world that will compare. The oldest, and therefore the most well-known of Naples’ ancient catacombs is the Catacombe di San Gennaro, from the 2nd century. It is decorated with early Christian Frescoes, tombs, and the sense of dark mystery that pervades its winding corridors makes it well worth a visit. The Mercato di Porta Nolana is also worth a visit; a bustling, vibrant street market selling everything from fish to delicious deli food to cigarettes. It’s also worth checking out the Cappella Sansevero with its amazing figure of Jesus by Giuseppe Sanmartino. There is no end of aesthetic treats to feast your eyes on in Naples; the best thing to do is just to head out and get lost in the maze with a map and a smile…Neopolitans are generally fast talking and full of life with a shedload of attitude that can at first seem intimidating – but if there’s one thing they’re proud of, it’s their city, so don’t feel shy to ask for a recommendation for a family-run trattoria or where to get the the best Fettucine Alfredo in town. Naples is the Grand Patriach of Pizza – forget everything you think you know about stuffed crust monstrosities with everything but the kitchen sink sprinkled on them, because this is pizza as it’s supposed to be. 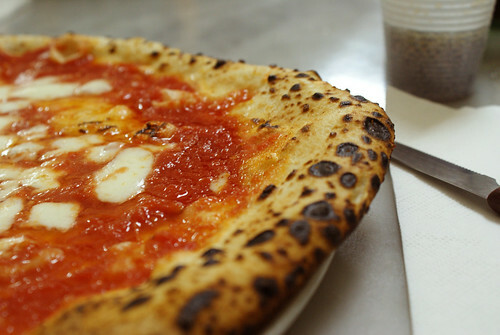 No-one knows quite how they make the deliciously soft, squishy dough, sweet, tangy tomatoes and creamy mozzarella, but if you visit Naples its absolutely your duty to get yourself to one of the finest pizza joints in the city and chow down like you’ve never heard of cholesterol. The recently released film Eat Pray Love showed Julia Roberts visiting one of the most famous Pizza shops in the city, Da Michele, which even before the film had queues around the block trying to get in to sample their wares. One shudders to think of the wait now Jules has had her Hollywood-stained mitts on it. They only do Margharitas, but don’t worry – these pizzas couldn’t be boring if they tried. Poverty certainly has a presence in Naples; the historical centre of the city can often seem crumbling and impoverished, with what appears to be a huge amount of people stuffed into a relatively small space. 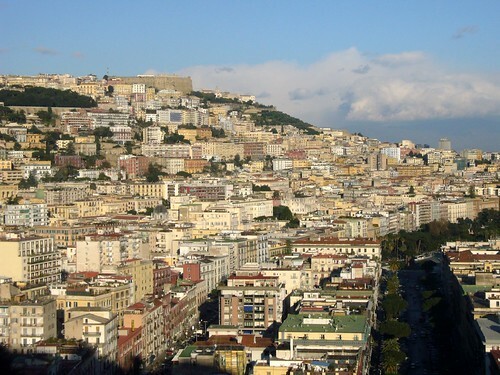 The busy, interactive, sprawling noisiness of Naples is a double edged sword; whilst it is in part responsible for the wonderful atmosphere and electricity that the city presents, it is also a result of a lack of wealth in certain quarters, a condition that sometimes lends itself to increased crime. However, as with any big city, tourists would be advised simply to keep out of certain areas late at night! The local police and the Carabinieri fight the local Camorra (local mafia), the activities of whom do not really affect the general public – but there are certainly muggings and petty thievery, so keep your wits about you.